While it always feels like Canadians are constantly judged for how polite they are, Americans are finally taking a turn in the hot seat. 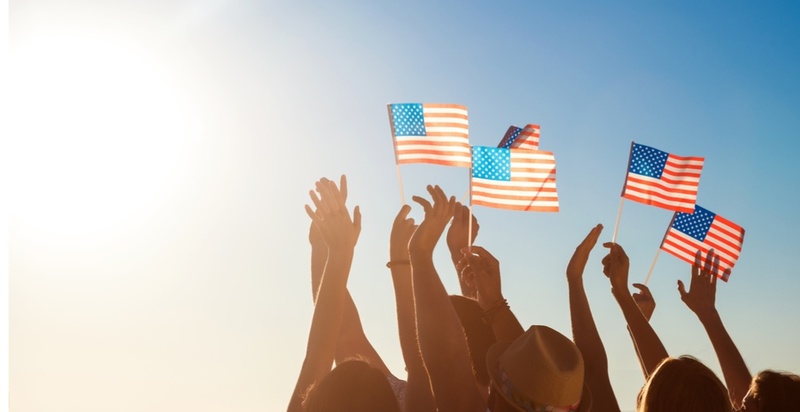 FreshBooks, a Toronto-based company that specializes in cloud-based accounting services, has ranked the 50 US states in order of politeness. According to a spokesperson from FreshBooks, in order to determine these rankings, the company analyzed customer data to uncover where businesses are most likely to use ‘please’ and ‘thank you’ on their invoices. 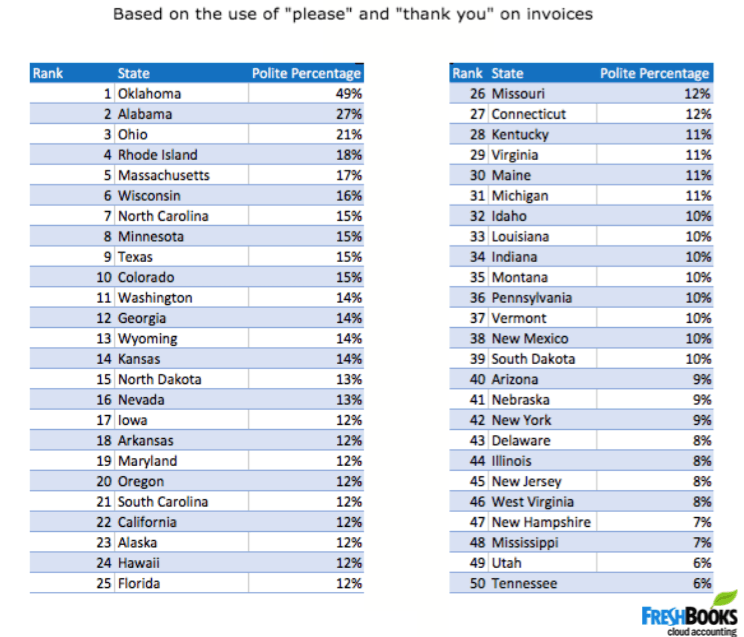 The research revealed that Oklahoma is by far the most polite state, with nearly half of all invoices sent from self-employed professionals in Oklahoma containing polite language. The company said what was most surprising about the data was “the huge gap between states”. For example, only 6% of invoices from Utah and Tennessee contained please and thank you. In case you’re wondering why an accounting software company wanted to rank the states by politeness, FreshBooks says the answer is simple. “We wanted to see if there was any benefit for the self-employed professionals who use polite language on their invoices. And as it turns out, there is,” said Carly Moulton, FreshBooks Data Insights and Communications Manager. According to Moulton, the data showed there’s a correlation between being polite and getting paid faster. “Polite invoices are paid a median of two days faster than invoices that don’t contain polite language. For self-employed professionals, it pays to be polite,” says Moulton.